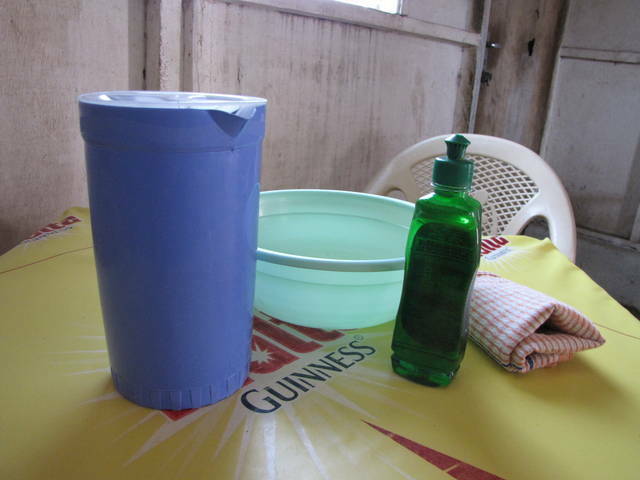 While in Ho, Ghana I would eat at Fried Rice, the small restaurant has placed a pitcher or water, soap, plastic bowl and rag on every table. When I saw this on this hand cleaning stuff on my restaurant table in Ho, Ghana, I thought I had entered an Islamic Restaurant. However, after a few days, I was quite positive the owners were Christian. I am not sure how this happened, but if you watch Ghana people eat Fufu with their hands, then this seems a great idea.